A lasting relationship with a trusted primary care provider makes a big difference in your overall health. UM Community Medical Group – Primary Care physician Dr. Lorenzo Childress has your best interests in mind and can make suggestions for how to keep you and your family healthy year after year. Because you will see the same provider every year, he will get to know you well over time and can provide you the best care with a personal touch. Dr. Childress will help you achieve your health goals. Whether you’re in perfect health or in need of a serious lifestyle overhaul, he has your back! In addition to these services, Dr. Childress can refer you to the right specialty provider if your condition requires—he has built relationships with doctors all across the state to make sure you receive the highest quality care every time. 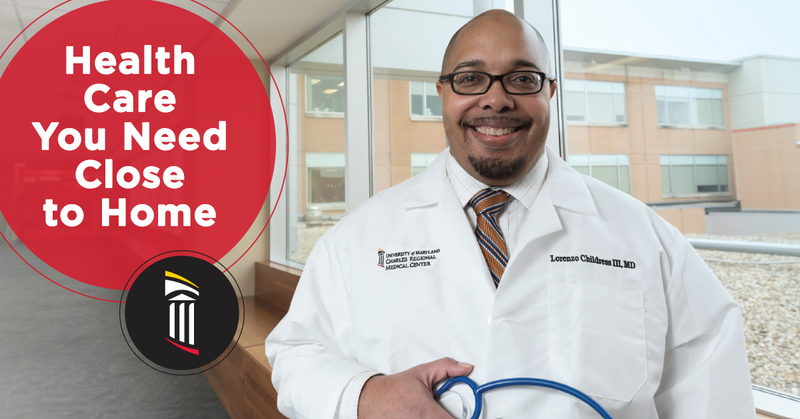 Lorenzo Childress III, MD is a Board-Certified internal medicine physician with 10 years of experience. He is a 2001 graduate of Wright State University School of Medicine. After completing a residency in Internal Medicine in 2006 at Kettering Medical Center in Kettering, OH, Dr. Childress did a two-year fellowship in joint preservation and replacement at Sinai Hospital of Baltimore. In addition to traditional internal medicine services, Dr. Childress provides wound care and hyperbaric oxygen treatments at the University of Maryland Charles Regional Medical Center Wound Care Clinic. Hi, Muriel. Thanks for your interest in UM Community Medical Group – Primary Care. Someone from our team will be reaching out to you shortly to help you schedule an appointment. Thanks again!